The data was added on ,	2 July 2018 read 291 times. 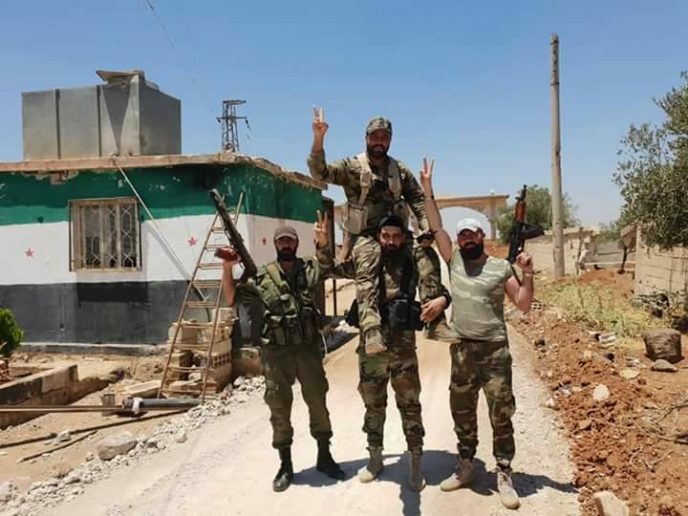 The Free Syrian Army (FSA) factions inside of the historical city of Busra Al-Sham have agreed to begin surrendering to the Syrian Arab Army (SAA) troops in the southeastern countryside of the Daraa Governorate, a field source told Al-Masdar News this morning. The field source reported that the Free Syrian Army factions, led by their commander Ahmad Aodah, accepted the terms offered by the Syrian Arab Army and agreed to hand in their heavy and medium weapons. In the next 24 hours, the Syrian Arab Army is expected to enter Busra Al-Sham for the first time since they withdrew from the historical city in March of 2015. For the Syrian Arab Army, this is a major victory because Busra Al-Sham is strategically located directly west of the Al-Sweida Governorate’s provincial border. One of the Syrian Arab Army’s main objectives during this southwest Syria offensive has been to secure the western countryside of the Al-Sweida Governorate. With Busra Al-Sham under their control, they will be able to not only secure the provincial border of Al-Sweida, but also, take hold of the eastern countryside of the Daraa Governorate for the first time since the start of the armed conflict in Syria.